Andreas Gursky (born January 15, 1955) is a German photographer and Professor at the Kunstakademie Düsseldorf, Germany. He is known for his large format architecture and landscape colour photographs, often employing a high point of view. Gursky shares a studio with Laurenz Berges, Thomas Ruff and Axel Hütte on the Hansaallee, in Düsseldorf. The building, a former electricity station, was transformed into an artists studio and living quarters, in 2001, by architects Herzog & de Meuron, of Tate Modern fame. In 2010-11, the architects worked again on the building, designing a gallery in the basement. Gursky was born in Leipzig, Former East Germany in 1955. His family relocated to West Germany, moving to Essen and then Düsseldorf by the end of 1957. From 1978 to 1981, he attended Folkwangschule, Essen, where he is said to have studied under Otto Steinert. However, it has been disputed that this can’t really be the case, as Steinert died in 1978. Between 1981-1987 at the Kunstakademie Düsseldorf, Gursky received strong training and influence from his teachers Hilla and Bernd Becher, a photographic team known for their distinctive, dispassionate method of systematically cataloging industrial machinery and architecture. Gursky demonstrates a similarly methodical approach in his own larger-scale photography. Other notable influences are the British landscape photographer John Davies, whose highly detailed high vantage point images had a strong effect on the street level photographs Gursky was then making, and to a lesser degree the American photographer Joel Sternfeld. The perspective in many of Gursky’s photographs is drawn from an elevated vantage point. This position enables the viewer to encounter scenes, encompassing both centre and periphery, which are ordinarily beyond reach. Visually, Gursky is drawn to large, anonymous, man-made spaces—high-rise facades at night, office lobbies, stock exchanges, the interiors of big box retailers (See his print 99 Cent II Diptychon). In a 2001 retrospective, New York’s Museum of Modern Art described the artist’s work, “a sophisticated art of unembellished observation. It is thanks to the artfulness of Gursky’s fictions that we recognize his world as our own.” Gursky’s style is enigmatic and deadpan. There is little to no explanation or manipulation on the works. His photography is straightforward. Gursky’s Dance Valley festival photograph, taken near Amsterdam in 1995, depicts attendees facing a DJ stand in a large arena, beneath strobe lighting effects. The pouring smoke resembles a human hand, holding the crowd in stasis. After completing the print, Gursky explained the only music he now listens to is the anonymous, beat-heavy style known as Trance, as its symmetry and simplicity echoes his own work—while playing towards a deeper, more visceral emotion. The photograph 99 Cent (1999) was taken at a 99 Cents Only store on Sunset Boulevard in Los Angeles, and depicts its interior as a stretched horizontal composition of parallel shelves, intersected by vertical white columns, in which the abundance of “neatly labeled packets are transformed into fields of colour, generated by endless arrays of identical products, reflecting off the shiny ceiling” (Wyatt Mason). The Rhine II (1999), depicts a stretch of the river Rhine outside Düsseldorf, immediately legible as a view of a straight stretch of water, but also as an abstract configuration of horizontal bands of colour of varying widths. In his six-part series Ocean I-VI (2009-2010), Gursky used high-definition satellite photographs which he augmented from various picture sources on the Internet. Gursky first exhibited his work in Germany in 1985 and has subsequently exhibited throughout Europe. His first solo gallery show was held at Galerie Johnen & Schöttle, Cologne, in 1988. Gursky’s first one-person museum exhibition in the United States opened at the Milwaukee Art Museum in 1998, and his work was the subject of a retrospective organized by The Museum of Modern Art, New York, in 2001, touring to Museo Nacional Centro de Arte Reina Sofía, Madrid, Centre Pompidou, Paris, and Museum of Contemporary Art, Chicago in 2001–2002. Further museum exhibitions include “Werke-Works 80-08”, Kunstmuseen Krefeld (2008, touring to Moderna Museet, Stockholm and Vancouver Art Gallery in 2009); Kunstmuseum Basel, Switzerland (2007); Haus der Kunst, Munich (2007, touring to Istanbul Museum of Modern Art, Sharjah Art Museum, National Gallery of Victoria, Melbourne, and Ekaterina Foundation, Moscow in 2007–2008). His work has been seen in international exhibitions, including the Internationale Foto-Triennale in Esslingen (1989 and 1995), the Venice Biennale (1990 and 2004), and the Biennale of Sydney (1996 and 2000). Andreas Gursky (Lipsia, 15 gennaio 1955) è un fotografo tedesco considerato uno dei maggiori artisti al mondo famoso per le fotografie di grande formato. Insieme a Axel Hütte, Jörg Sasse, Thomas Struth, Candida Höfer e Thomas Ruff fa parte della Becher-Schüler. Nel 2011 la sua opera Rhein II viene battuta all’asta da Christie’s per la somma record di 4.338.500 dollari. Lunga tre metri e mezzo, è una veduta del Reno scattata nel 1999. Andreas Gursky nasce in Germania, a Lipsia, nel 1955, figlio di un fotografo commerciale, ma trascorre i primi anni a Düsseldorf. Dal 1978 all’1981 studia alla Folkwang Universität, università a indirizzo artistico nella vicina Essen, dove ha come professore il fotografo Otto Steinert. Tra il 1981 e il 1987 all’accademia di belle arti di Düsseldorf (Kunstakademie Düsseldorf), Gursky riceve una forte influenza dai suoi professori Hilla e Bernd Becher, un team fotografico che si contraddistinse per il loro spassionato catalogare di macchinari industriali e architettura, tipicamente in bianco e nero.] Gursky mostra un simile approccio metodico con le sue fotografie in grande scala. 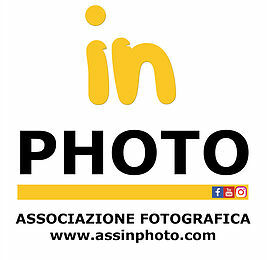 Altri autori che lo hanno influenzato sono probabilmente il fotografo di panorami inglese John Davies e l’americano Joel Sternfeld. I primi successi tuttavia sono incentrati su panorami e luoghi di relax e hanno dimensioni medio-piccole, non oltre i 50×60 cm. Solo attorno ai 25 anni Gursky si dedica al grande formato e si converte alla fotografia a colori, spesso molto vivaci e vari, immortalando soggetti di grandi dimensioni come edifici (Paris, Montparnasse, 1993), luoghi ordinatamente affollati come gli scaffali dei supermercati (99 Cent II Diptychon, 2001), affollate sale di contrattazione finanziaria (Chicago Board of Trade II, 1999 e Tokyo Stock Exchange, 1990), un concerto del primo maggio (May Day IV, 2000) etc.